Over the years, both critics and audiences alike have been split in their reaction to Kelly Reichardt’s productions. Certain Women, which is released on March 3rd, seems to have turned the tide of opinion with her depiction of three everyday American women with her understated yet subtle nuances that hands the baton to its audience to make of it what you will. 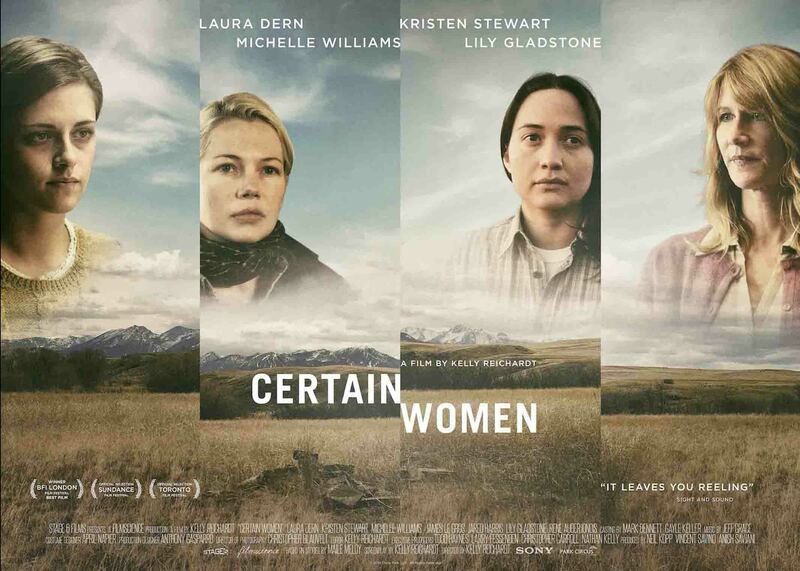 An adaptation of a collection of short stories, Certain Women centres on the lives of three different women which all intersect with a subtle nuance but never quite meeting. The three women, played by Laura Dern, Kirsten Stewart and Michelle Williams – the latter who has collaborated a total of three times with Reichardt – all seem disenchanted with their lives. All are strong-willed women who strive to forge their own paths amidst the wide-open plains of the American Northwest: a lawyer who finds herself contending with both office sexism and a hostage situation; a wife and mother whose determination to build her dream home puts her at odds with the men in her life; and a young law student who forms an ambiguous bond with a lonely ranch hand. 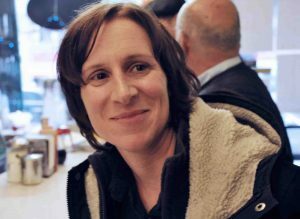 Ahead of the film’s release, we sat down with director Kelly Reichardt for a brief chat about the film. Certain Women is based on the short stories from Maile Meloy’s collection, Both Ways Is the Only Way I Want It – What was the thinking behind the order in which to tell the stories? They have to go in this order, with the emotional trajectory you can’t start on the ranch. You have to start on the enclosed and work out to the wire. I was thinking early on, because I use it my class so much, on Dangerous Ground the Nick Ray film that starts in the city and blocked in while the detectives are really uptight. Then it goes out and he is sent to Siberia and it opens up to this white big mass of snowy covered plains just as he opens up emotionally. So I was riffing on that a little bit, just in the emotional weight of the movie comes with a really big landscape. Your films, including Certain Women, all seem to have that running theme of its characters having lost their way and are looking/wanting something more in their life – why is this subject so compelling for you? What are the other subjects one could choose from? I’m working off stories that mostly already exist, so those are the stories I am drawn to. I don’t know, do they start off that way or end up that way? I’m not sure. I never think of them collectively, it’s just the next thing you get drawn too and you do it and look back and think that’s weird. I’m not sure how realistic it is, in real life the teacher would have never gotten on the back of a horse; there are some leaps one has to make. It’s sort of ground down into the daily processes of chores and that sort of daily routine that I like. The cast of Michelle Williams, Kirsten Stewart and Laura Dern is an impressive one, how did you get them all to take time out from their busy schedules to make the film? I didn’t actually need them for that long on my side of it. They did have to make a big effort, however, to come out to a freezing place in the middle of nowhere. Everyone was game which was really nice and they were all be beautiful actors to work with. They all enjoyed working with each other. They were never there at the same time so it was almost like making three different films and getting into these different worlds. We actually got the financing together for the movie a little bit faster than I anticipated which never happens, so people had to move quickly and jump in. The hardest thing was finding the Native American actress was going to be because I didn’t have her, she wasn’t someone I could easily just pull from. So finding Lily Gladstone was a good gift from the film gods. The location setting all adds to the ambience and the harsh reality of what these women are going through, what was the process of finding the right setting for your distinct vision? It’s a long drawn out process. In this case, the stories were written for Montana so I started in Montana, in Helena where Maile Maloy’s is from and it didn’t quite strike me, I couldn’t really get a handle on it so I went back to Oregon and scouted a few places. I went to Idaho and got really attached to Boise, there are so many lawyers’ offices in Boise, it just seemed perfect but Idaho isn’t very filmmaker friendly. I was circling around and Montana offered a grant to shoot there, so that’s when I started checking out other parts of Montana. I remember my producer Neil Kopp, on one of the early scout visits saying it doesn’t look different enough to shoot here, after there for four months and making so many trips there beforehand I am sure he would never say that now. It became so distinctive; I don’t think it looks anything like Oregon now. You just have to move in and really get down in it and the day to day routines to come to know a place and see how you can show a new landscape. When I found the horse ranch I knew I had found the right place. Certain Women is in cinemas now. Features and News Writer at HeyUGuys, Once failed wannabe actress, Ex-music industry veteran who once dabbled in Artist Management, and now Film Journalist extraordinaire (for the past 6 years). My love for the arts has seen my fingers in many pies but my love of Film won the battle. Other current work credits include, Film & TV Editor at Flavourmag and Freelance Film Critic/Interviewer at DIY and HeyUGuys, previous work credits contributor at The Voice Newspaper, film review slot on radio, presented film awards.